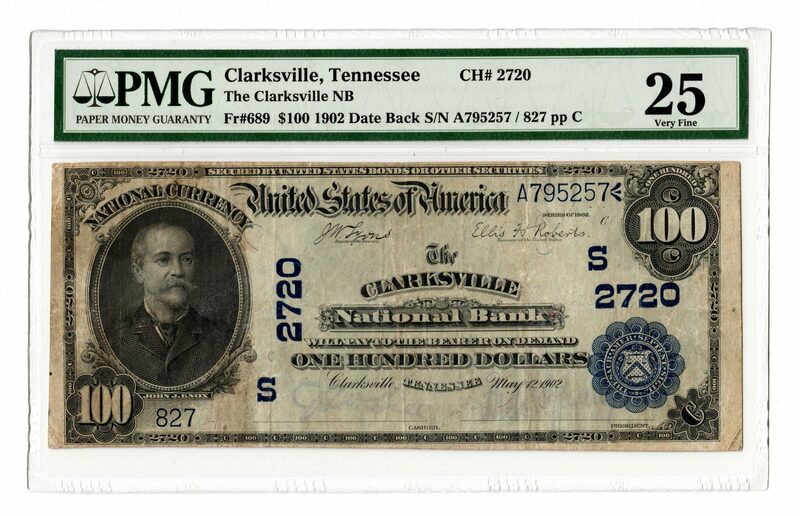 $100 “Date Back” bank note 1902 from the Clarksville National Bank, Clarksville, Tennessee, depicting the portrait of John Jay Knox, Jr., American financier and government official. Serial # A795257/827 pp C. CH # 2720. FR # 689. 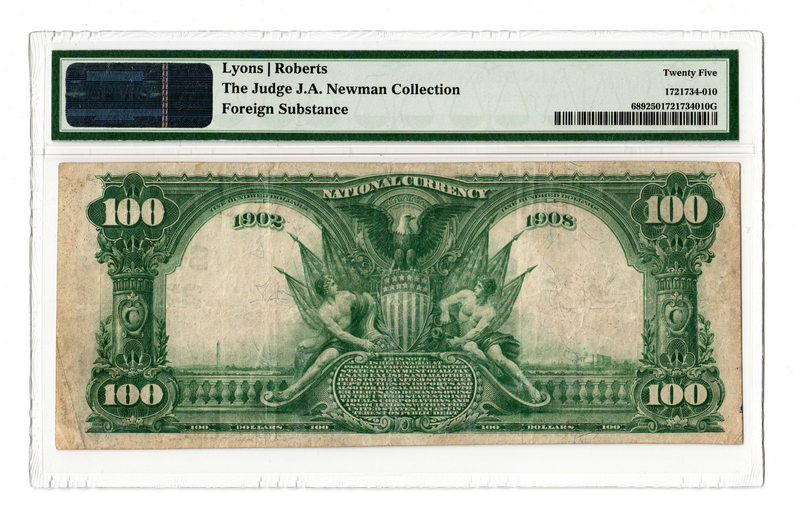 Lyons/Roberts signatures. PMG graded, 25/Very Fine. Provenance: the collection of the late James A. Newman (Nashville, TN, 1892-1964). CONDITION: PMG graded, 25/Very Fine.